Vacations are for making memories. Holidays are for making memories. Why not combine the two and have an amazing Big Bear experience this winter? 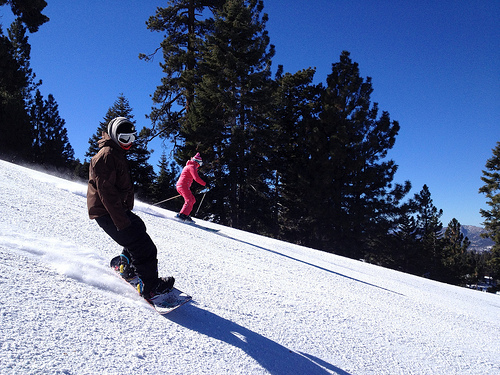 One of the truly great things about Big Bear is the variety of activities available. Whether you are a couple, a family with kids or a large group, there is something for you! What does Big Bear have to offer? 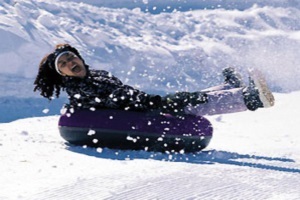 Here are just some of the fun, winter activities to take part in. Looking for some action? Try your legs at skiing or snowboarding at one of our world-class resorts. You can get private or group lessons, rent equipment or get a package that includes everything you’ll need for a day of winter fun. The view from the top is spectacular! Do you want to experience the view at a slower pace? Well then, cross-country skiing or snowshoeing is the way to go. There are several different trails and difficulties to suit your needs. Experience the forests of Big Bear under sparkling blue skies! Maybe you want to experience the snow without all the work? Then tubing is where it’s at. We have two snow play resorts that feature ‘magic carpets’ to get you up the hill so that you can spend more time enjoying getting down. Race your family members down one of the longest runs in Southern California. How about seeing Big Bear from a different perspective? Take a Helicopter tour of the snow-covered Valley, a Segway tour through town or a Jeep Tour into the forest that finishes with an exhilarating zip-lining experience through the treetops. We also have, ice skating, horseback riding, bowling, laser tag, movie theaters, spas, a museum, a zoo and so much more. There are restaurants and bars for every taste, live music, and the Village is packed full of charming shops. We really do have it all! If you are lucky enough to spend the Holidays with us, you can take part in Santa’s Grand Entrance and Village Tree Lighting Ceremony, Christmas in the Village, the New Year’s Eve Torchlight Parade or New Year’s Eve parties at Bear Mountain, Snow Summit or several other places in the Valley. After you’ve spent the day experiencing all of the action Big Bear has to offer, you’ll want to wind down in a cozy cabin, with a roaring fire, a soak in the spa and maybe a friendly game of pool, foosball or air hockey. We can help you with that part! RS Vacations has cabins of all sizes to suit your needs with amenities galore. Having a private cabin to call your own, means you can relax and unwind with all the privacy you could want. Just what you need for your perfect wintertime getaway! Visit us today to book a Big Bear cabin before they’re all gone! Your amazing holiday vacation starts here!! Tuesday’s Topic: SOAR Zip Lines – Fly Above the Pines! 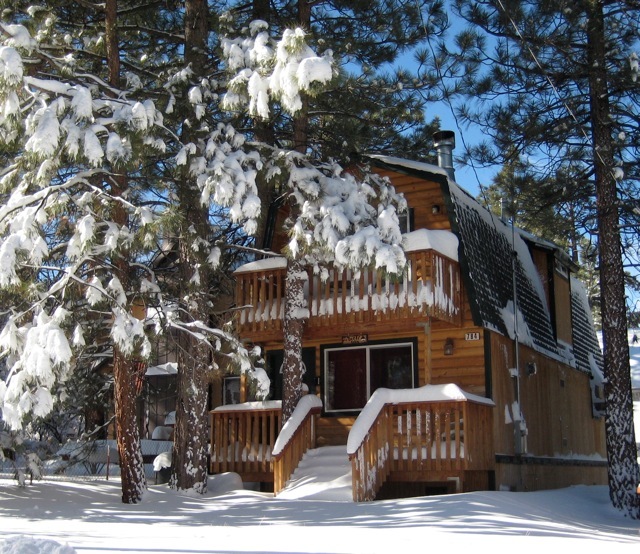 Big Bear Lake is home to many types of adventures during all four seasons of the year. One of those adventures is zooming through the tree tops on a Zip Line with SOAR Zip Line Adventures. Learn about Big Bear and its unique and beautiful environment while experiencing the ultimate adrenaline rush! SOAR has expert guides that will lead your group though the entire Zip Line experience and will also share interesting facts about Big Bear along the way. You will be amazed by the spectacular views from the top and will make lasting memories with family and friends! This awesome adventure is available year round, so be sure to reserve your spot the next time you are visiting Big Bear. 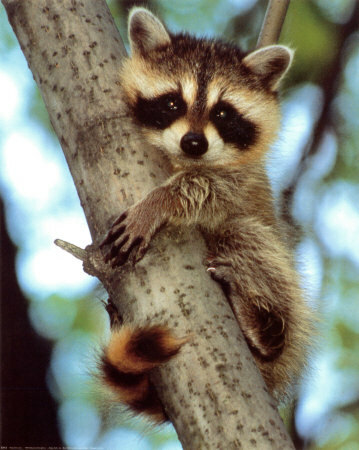 Be sure to book a cabin with RS Vacations and you will get 10% off of your Zip Line Adventure. Ask us for details! Head over to RSVacations.net and find your perfect mountain getaway. Book Today! !